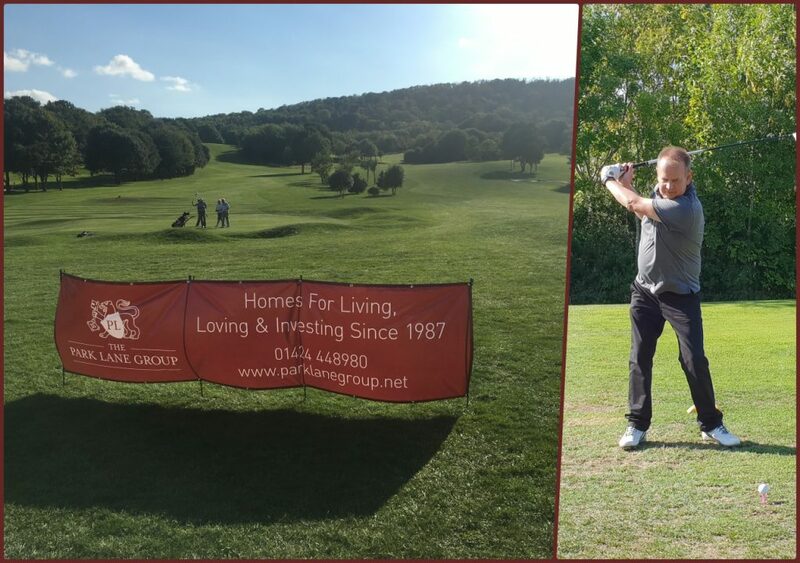 The Park Lane Group were among the sponsors of this year’s JPK Project Golf Day at Willingdon Golf Club in Eastbourne. The event is a key date in the charity’s annual diary. 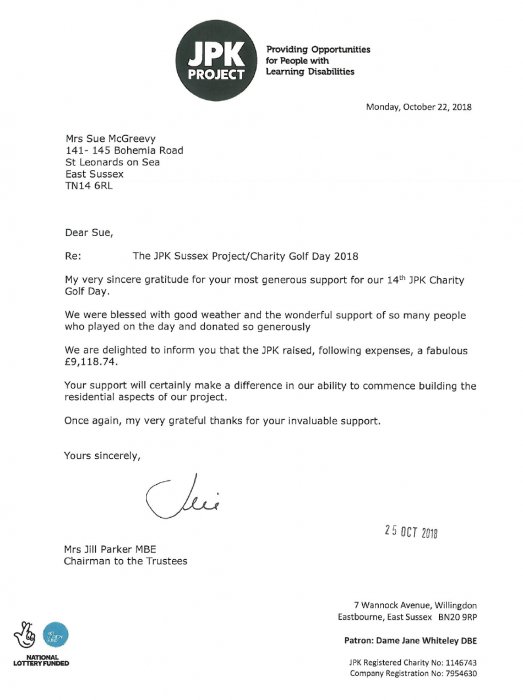 The JPK Project established to develop a supported living centre for adults with learning disabilities and we are very pleased to support such an important initiative. Having bought a site and secured planning, a new Community Training Centre featuring the Palm Court Tea Rooms has now opened. Fundraising continues to enable the development of accommodation. Held on Friday 7th September, our four-ball team included members of our construction department; Laurence Hulkes, Dan Hulkes, Gavin Gregory and Neil Bacon. The Park Lane Group also sponsored one of the holes.